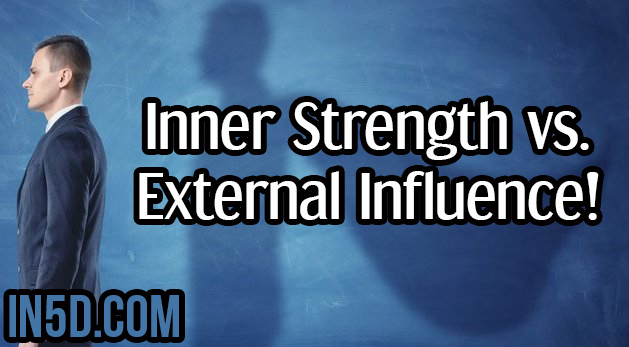 Inner Strength vs. External Influence! What an incredible week of energies, and where are we going with all this in the air? This is something I have been asking for the past few days, and can see from those I am in close contact with, they too are experiencing similar trends. It appears we are processing once again, all that we have done, where we have been and where we are going. Re-examining the parts we have healed, looking far deeper at our thought processes, and really considering all the new plateau in front of us. I have often said I am ready for the next stage, phase of the journey (whatever that may be), and I believe that many have arrived at this new plateau, simply just to admire the view of all creation. The known that we have lived, and the outlook of a new that we must create, and yes we must create it using all that we know. This is a very interesting place to be, as we are balancing what is essentially the key to all of this, ourselves. There is some diagnostic work going on in our psyche and body, to adjust to where we are right now, as if to say we are in a transit zone, simply waiting for a boarding pass – are we waiting for instruction or resting for something so new we will be astounded by the events that unfold. For many, we are feeling the yearning, the push and pull, the distance, the desire for this just to simply be over – this is something that we are all navigating through. It is important that we don’t get pulled into the whole 3D matrix – there are many international themes playing out at the moment, and it certainly puts the human race into maximum defensive mode. The ego’s are flying high, and there are many who will be triggered by these events – and react. If you find yourself being pulled into this mess, take a step back, and allow yourself to ground. Our strength comes from within and with this we must see over the veils of illusion! As we wake up more and more, we are beginning to see these veils very easily, they change with each passing day, and appear all over the place. What is happening in your home? What is happening in your own circle? What is happening in your life? Where are your energies directed? Whilst it may feel like you have been here before, you now have knowledge and wisdom that will provide the right answers. I strongly believe these are simply testing our readiness and commitment to our soul path – and to further add signs and synchronicities to all that is happening around us. I actually sense that we are doing something now that has presented itself before, and we are being asked to live it fully in love! I wonder really how many times the awakening packages have been dropped on our hands – I am pretty sure, you have had similar life experiences many times that got to the point of examining themselves. One observation I can bring to the forefront of everyone’s mind, we have really never had the opportunity to carefully consider and balance all that is happening, as we did not know what was really happening to us. Now we are consciously aware of this journey back to our true self, surely it is essential we really do consider all that we have absorbed and released. We are all at a cross roads (yet again) but we are literally being so thoughtful with the direction we are going. This will be a distinct change in character for many of us (it certainly has been for me). These thought processes now, are a sure sign we are on the right path – push away the ego thoughts, and simply allow our own thoughts to grow. I do sense there is a major shift approaching, I have felt very uncomfortable with myself this week, as if I am shedding more layers – I know that I have certain things to do over the coming weeks, that do need my full attention – this is where the energies will be directed. A shift in our personal energies directly to self, will greatly enhance our manifestation powers, as well as our connection with source. These energies are needed to allow us to fully align with the ascension process, there is no rule book or set of instructions, there are those of us who continue to learn and navigate each day, and share our experiences with you so that it may assist others who are experiencing similar thoughts and feelings. Stay strong and remember the love that you are! Tags: Inner Strength vs. External Influence!